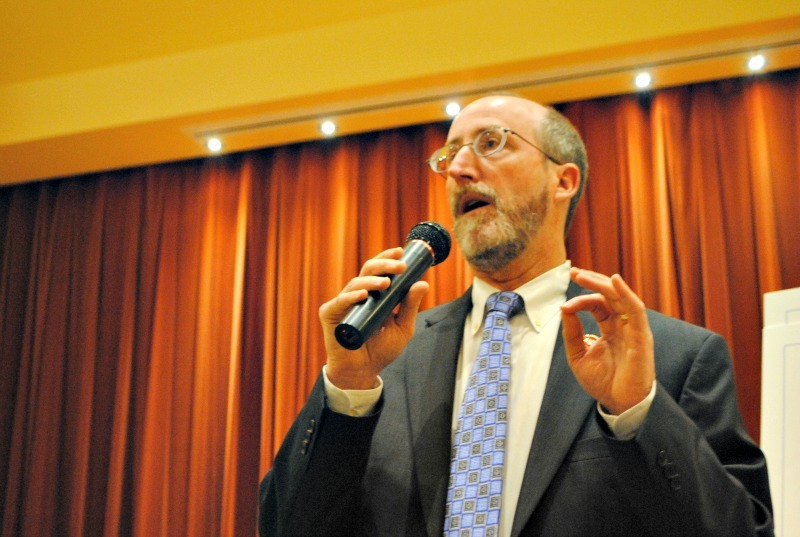 East Bay State Sen. Steve Glazer (D-Orinda) broke from his Senate Democratic Caucus Thursday after casting a no vote against Gov. Jerry Brown’s $52 billion transportation bill. Senate Bill 1, backed by Senate President Pro Tem Kevin de Leon and Brown, would raise taxes on gasoline and vehicle registration fees to fund $52 billion in transportation improvements over 10 years. The bill was passed by the state Senate, 27-11, and heads to the Assembly Thursday night. In the past, Glazer has been an opponent of the state’s High Speed Rail project, which he knocked in his statement, saying billions allocated for it would, instead, be better spent on the state’s transportation infrastructure. He also expressed disappointment with late amendments to the bill that be believe may adversely effect the environment and for the legislation failing to steer new funding to local transportation agencies. Glazer’s vote was not entirely surprising. Last week, Brown, de Leon and Democratic legislators unveiled SB 1 in Glazer’s district. He did not attend and a sign at the event pointedly asked Glazer’s help in fixing his district’s potholes. Posted in Democrats, Jerry Brown, Kevin DeLeon, legislation, legislature, SD7, State Senate, Steve Glazer, tax, transportation. Bookmark the permalink. Glazer should be ashamed of himself. In other words as a member of the Democratic Party, and which is composed of wonderful, extremely intelligent, and great independent thinkers who almost always, and in unison, automatically go along with whatever is the very latest fashionable and politically correct garbage and mentally retarded nonsense, he is not supposed to break ranks with whatever the leadership of the DP wants. And as far as Jerry Brown supposedly needing more taxes in order to have the funds to repair the roads, in the future I will be discussing some of the ways government is wasting the money it already has. To give just one example, government agencies in California are presently spending at least billions of dollars every single year, and quite likely tens of billions of dollars, on salaries and pensions for extreme alcoholics who pretend to be involved in providing fire protection. For instance if we fired every single member of all California fire deportments who was a totally useless drunk, many fire departments would lose at least fifty percent of their members, and eighty to one hundred percent of their upper management. And also if we did that, we would most likely have far less incidents similar to the Ghost Ship warehouse fire. Solid proof that Glazer wishes he could be as conservative as Catherine Baker and also have as much testosterone as her. Thank you, Steve! You the man!! Another flip-flop by Steve Glazer and Catharine Baker. Last fall they supported Contra Costa Measure X, a $2.9 billion transportation tax increase. Both Glazer and Baker voted for special legislation in 2016 (AB 1665) to put the Contra Costa sales tax increase on the ballot. But Contra Costa voters wised up and voted down the Glazer/Baker Measure X sales tax increase in 2016. Glazer and Baker should be honest. They pretend like they're fiscal conservatives, but they really support higher sales tax. They are honest and looking out for us. I thank heaven everyday that we have two HONEST politicians in office who give a damn about the voters. Here's to the next governor and lt. governor bringing back bipartisanship and respecting the citizens of the state!